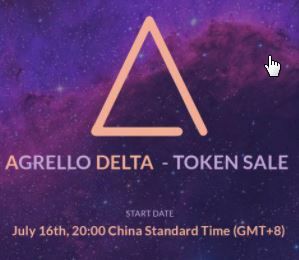 Agrello, a legal technology platform combining agent and blockchain technology, launched a token sale July 16 for its native token called ‘DELTA’ which will be traded under ‘DELT’. The token scale, scheduled to go until August, has a 10,000 bitcoin limit. According to inside sources, the project might already be more than one-third of the way to reaching its goal. “DELTA tokens will be required to employ the Agrello platform and to perform various actions in the system, such as the deployment of new agreements or the usage of blockchain and contract repository resources,” wrote the project in its blog. Two days ahead of the opening, the team held an AMA in which for over two hours the team discussed the implications of blockchain for the legal industry. CCN was there in order to catch some of the most compelling parts of the talk ahead of the token sale, which was covered by Hacked late last week. The Chief Scientist explained how Agrello – which doesn’t have much competition in the blockchain-based legal tech sector – has built definitions, exceptions, management and compensation procedures into smart contracts. “And the idea then is really you have agents on top to engage in dispute resolution and negotiate and engage in a socio-technical way with humans involved in final decisions, if that is wished, to basically resolve conflicts,” Mr. Norta explained. Although Agrello has gained attention due to its incorporation of agents around blockchain technology, it’s not exactly AI, and the team made this clear over the two hour discussion. “These are actually software-programmed agents, and the idea is there is this declaration,” says Chief Executive Officer Hando Rand. “…The agents are programmed to understand those obligations, understand the lifecycle of contract execution, and they know how to go forward based on obligations.” Mr. Norta detailed the technicals behind the agents employed by Agrello. Basically, instead of I, Robot styled AI, Agrello offers pattern recognition in large data sets. “If Agrello is used over a period of time, a lot of data gets accumulated from customers and so forth about the collaborations, our forms provided, what conflict resolutions are carried out and all that,” says Mr. Norta.